Good morning from Maine on the first day of September. September in part of the world is the start of fair season. 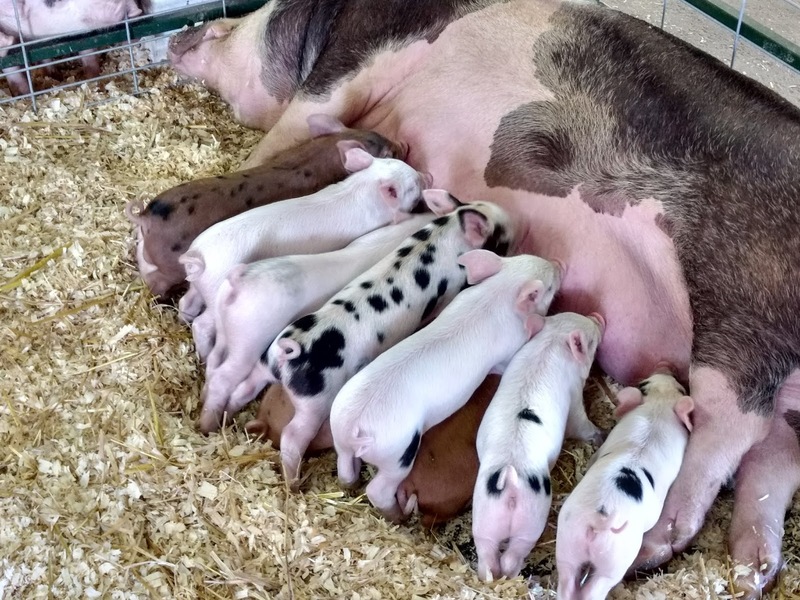 I can almost smell the Oxford County Fair by just thinking about walking through the animal barns with my daughters to see the piglets, lambs, and calves. Or as my older daughter will say, "baby pigs," "baby sheep," and "baby cows." I can't wait! But that's still a couple of weeks away so we're going back the wildlife park to see the baby moose and baby deer this morning. I hope that you also have something fun planned for the weekend. Toy Theater is a website that offers a huge library of online games that students can play to hone their skills in language arts and mathematics. Toy Theater also offers a large library of virtual manipulatives that you can use in your mathematics lessons. Some of what you will find in Toy Theater's library of virtual manipulatives include pattern blocks, graph paper, and fraction strips. All of the virtual manipulatives can be displayed in a full screen mode. Toy Theater's library of virtual manipulatives could be helpful if you find yourself quickly needing a way to illustrate a mathematics concept for your students. I don't recommend it as an alternative to having physical manipulatives in your classroom or even as an alternative to GeoGebra, but in a pinch the Toy Theater virtual manipulatives would work.